Road trips are one of our favorite things, and we've already shared a few great itineraries. The Ultimate West Coast Road Trip Part 1 takes you from Seattle to Los Angeles through the interior of the Cascade Range, down to Smith Rock and Crater Lake, and out to the coast through the California Redwoods and Big Sur. Part 2 of that trip takes you along the interior of California through Sequoia, Kings Canyon and Yosemite national parks to Tahoe, Lassen Volcanic National Park, out to the Oregon Coast, and up through the Olympic Peninsula. 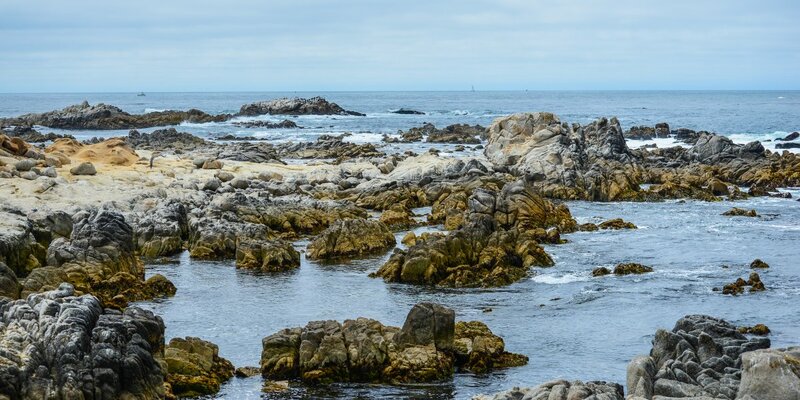 Though they are two amazing options and an ideal round-trip route when done together, we have so much love for the Pacific Coast that we had to put it all together in one epic itinerary. Here we go...1,750 miles of sandy beaches, wave-battered cliffs, redwood forests, majestic rock formations, and more epic ocean views than you can count. Fasten your seatbelt for an unbeatable road trip from San Diego, California, to Friday Harbor in the San Juan Islands. O.B. Pier at sunset in San Diego. Photo by Yelena Sukhanov. The route can be done going either direction, but we're going to start this adventure in one of California's sunniest destinations, San Diego. You can't, or shouldn't, leave San Diego without spending a little time one of the many amazing beaches. Just 15 minutes north of San Diego on the Point Loma peninsula you'll find Ocean Beach, or O.B. as the locals call it. 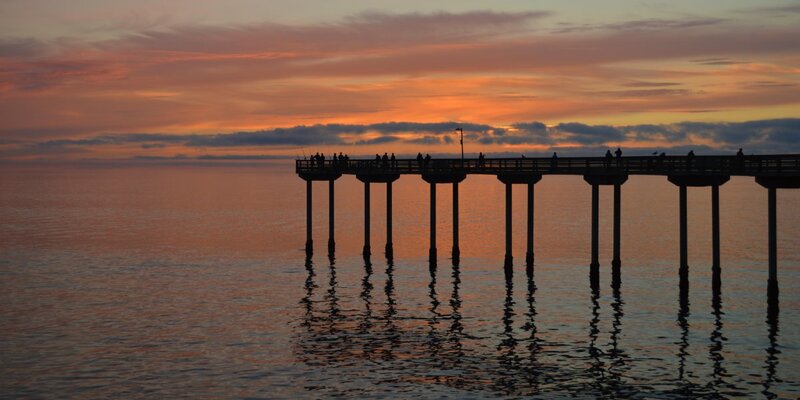 Before you hop in the car, take a stroll on the 1,971-foot Ocean Beach fishing pier, one of the longest in southern California. See the camping options near Ventura. If you want to drive about an hour further, you'll reach El Capitan State Beach Campground near Santa Barbara. Or find vacation home, B&B and hotels in San Diego, Los Angeles and Santa Barbara. Bixby Bridge on the Big Sur coastline. Photo by Patrick Mueller. Though all of the California Coast is beautiful, this section takes the cake. 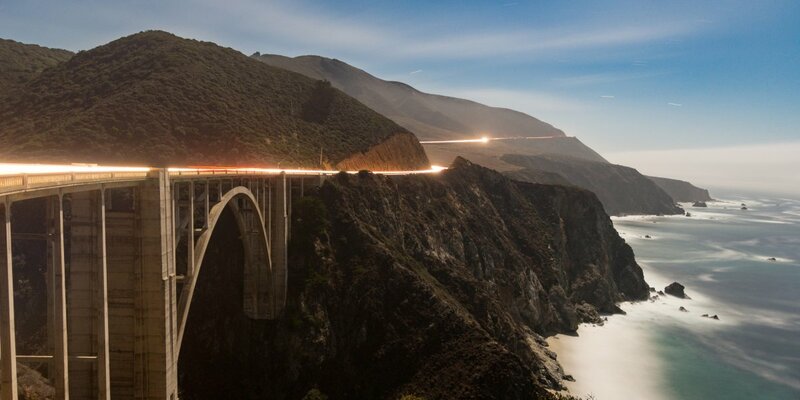 Many people stick to the road and simply drive through Big Sur, but you could actually split this section into two or three days to really experience the best of Big Sur and all of the hiking, camping, waterfalls, and beaches it has to offer. Most of the camping is going to be in Big Sur, or you'll have to drive just over an hour north to Henry Cowell Redwoods State Park Campground in Santa Cruz or even further to one of the campgrounds in Big Basin Redwoods State Park. Or find vacation home, B&B and hotels in San Luis Obispo, Carmel-by-the-Sea and Monterey. Tide pools at Asilomar State Marine Reserve. Photo by John Cody. You'll definitely want to stop by one or two of the beaches in Santa Cruz and a few beaches near San Francisco. If you're ready to stretch your legs, try Pedro Point Loop Hike or one of the other great day hikes in the Bay Area or Marin. On this stretch you'll pass through San Francisco, and we recommend traveling across the Golden Gate Bridge to Marin, staying as close to the coast as you can. 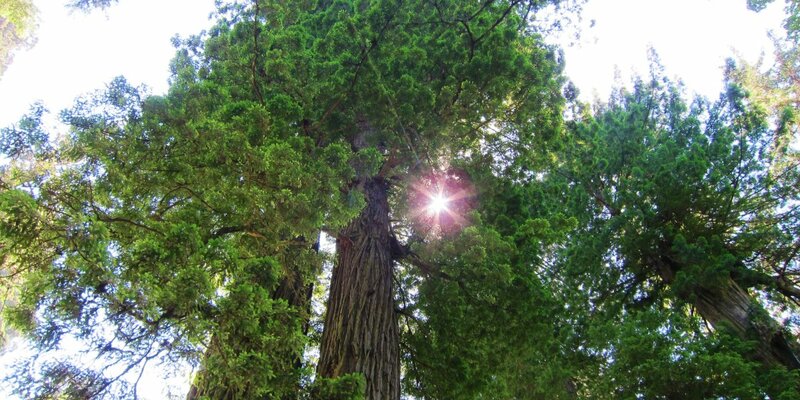 You'll start to pass through California's redwoods, and you should stop if you'd like, but there will be plenty of redwood forests in the northern part of the state as well. Or find vacation home, B&B and hotels in Santa Cruz, San Francisco, and Bodega Bay. Looking up into California's redwoods. Photo by Shane Kucera. This leg is a long one, but making it to Crescent City to camp in Jedediah Smith Redwoods State Park is well worth it. The road meanders away from the coastline and winds its way through over 100 miles of redwood forests. There are numerous trails to stretch your car-cramped legs, and hiking in California's redwoods in Humbolt Redwoods State Park, Redwood National and State Parks, Prairie Creek Redwoods State Park, or on the Damnation Creek Trail in Del Norte Coast Redwoods State Park is a must. There are great hiking options in Jedediah Smith Redwoods State Park as well if you prefer to get all of your driving done before adventuring too far. Or find vacation home, B&B and hotels in Mendocino, Eureka and Crescent City. 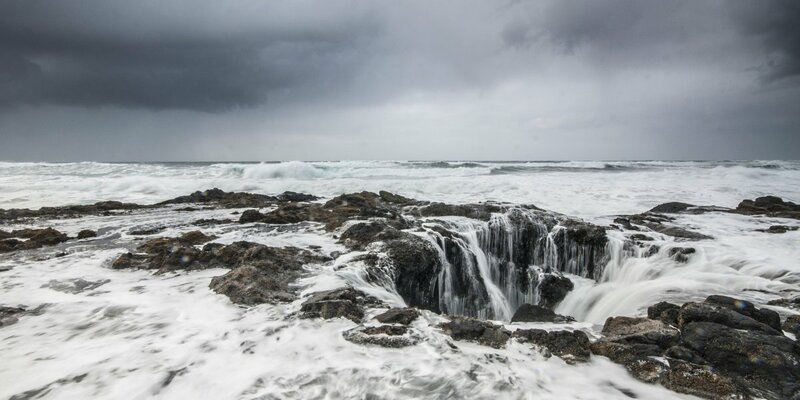 Thor's Well on the Oregon coast. Photo by Tyson Gillard. Congratulations, you finally made it through California and into Oregon! Welcome to a dramatic coastline filled with majestic views, unreal rock formations, exclusive wildlife and habitat access, and broad, sandy beaches. You should stop at as many of the highlighted areas as you can, and you don't want to miss Simpson Reef Overlook, Thor's Well + Cook Chasm, and Cape Perpetua Scenic Area. Or find vacation home, B&B and hotels in Gold Beach, Florence, Yachats, and Newport. View of the Oregon Coast from Ecola State Park. Photo by Tyson Gillard. This leg was intended to be a bit shorter to allow time for one of the great hikes to one of the great views on the Oregon Coast. Some of the trails can get a bit crowded on the weekends, but here are five overlooked hikes on the northern Oregon Coast that are good options to escape the Portland crowds. We highly recommend camping at Cape Disappointment State Park and taking a short walk out to the beach to view the lighthouse. For this particular area, the bigger the waves the better. Hopefully you'll see why. 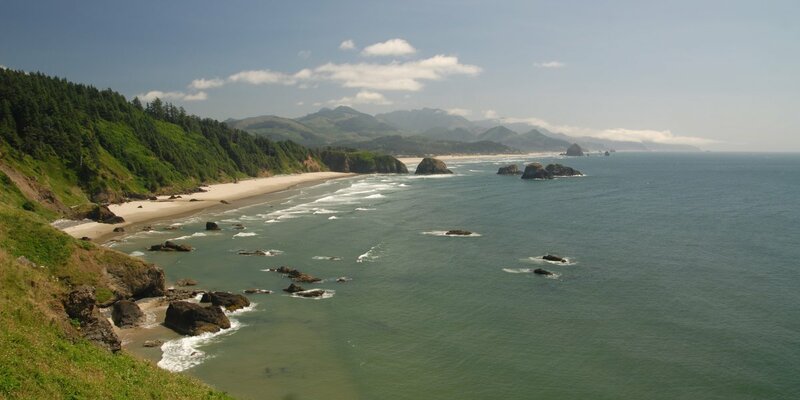 Or find vacation home, B&B and hotels in Lincoln City, Pacific City, Cannon Beach, and Astoria. La Push, Second Beach on the Washington Coast. Photo by Tyson Gillard. The Washington Coast may not seem as impressive as its Oregon and California counterparts; however, it does encompass 40 miles of completely raw and undeveloped wilderness that is only accessible by hiking within Olympic National Park, three Native American reservations, countless islands and stack formations inhabited by protected wildlife, dense conifer old-growth forests, some of the most productive salmon estuaries and habitat, one of the southernmost snowy owl nesting areas, incredible tidal beaches, the longest continuous beach in the world (stretching 28 miles), six lighthouses, a World War II fortress, and the state's oldest accommodation, the Tokeland Hotel. 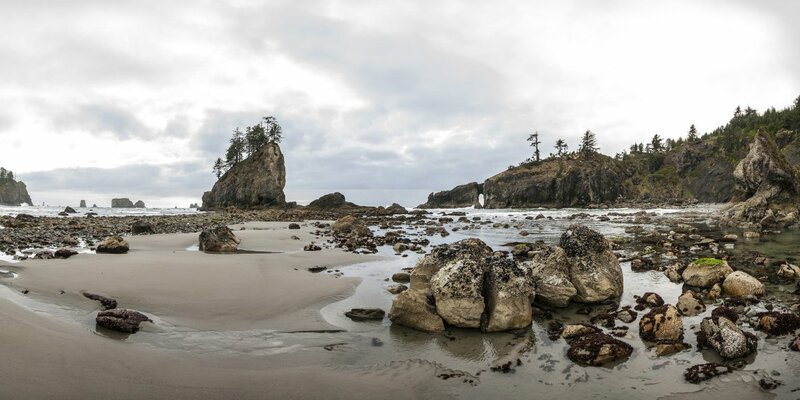 To get a closer look, hike one of our favorite Washington Coast trails or visit one of Washington's best beaches. On Rialto Beach in backcountry sites between Ellen Creek and Hole-in-the-Wall. 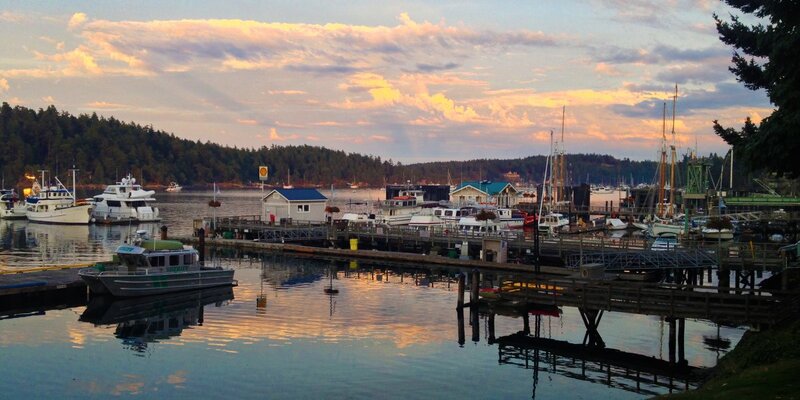 Friday Harbor at sunset. Photo by Shane Kucera. To get to Friday Harbor you can go through Port Townsend to Whidbey Island and up to Anacortes or through Seattle to Anacortes. Be sure to check the Anacortes ferry schedule before heading out and the Port Townsend ferry schedule if you decide on a multi-ferry adventure. On summer weekends the ferries can fill quickly, so you should plan on being at least an hour early. As you head east from La Push, keep an eye on the Strait of Juan de Fuca for orca whales and other wildlife. Orcas use this straight as their gateway between the Pacific Ocean and the waters surrounding the San Juan Islands. If you want to take a bit more time, there are plenty of amazing hiking and camping options in Olympic National Park. If you want to stop off in Seattle, check out one of these great day hikes or even rent a kayak for a paddle. See the camping options on San Juan Island. Or find vacation home, B&B and hotels in Port Angeles, Port Townsend, and Seattle. What are your favorite stops along the way? We'd love to hear about your adventures on the West Coast in the comments below. Hmm a lot of those pictures are from Hwy 1 NOT hwy 101.